What is Hands On As We Grow? Hands On As We Grow offers simple, stress-free activities that bring your family closer. It is all about learning to do hands on activities with your kids. They share lots of practical and easy kid activities on their website and delivered straight to your Inbox every week. 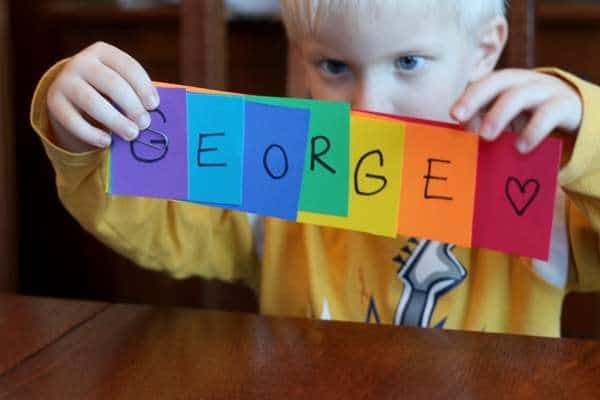 You’ll find crafts, art projects, gross motor activities, and fine motor activities regularly on the blog. When Little Miss E was a toddler, I really struggled with finding kid activities that were age appropriate and that I could do on the spur of the moment. I work part time and am a SAHM (stay-at-home-mom) the rest of the time. (notice I didn’t describe SAHM as part time – those hours don’t exist in this role!) Having one foot in both worlds, I felt like I didn’t have time to do some of the well thought-out and creative activities or even play dates for that matter that the full-time SAHMs could do. I still wanted to do fun things with my kids, but needed something that was already half-way there. Where the thinking and planning was already done and all I had to do was execute. That’s when I came across “Hands On As We Grow.” Jamie has done most of the legwork for you. Jamie has lots of great kid activities ideas on her blog, which was where I started, but I loved it so much, that I went ahead and purchased a couple of her eBooks. In her eBooks she provides 5 weeks of activities for a specific age group. 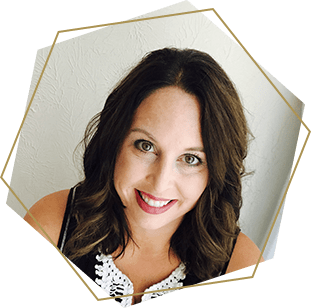 She provides a supply list, a weekly guide with a simple but fun activity for each day, and blank templates for you to do your own planning. Her eBook also includes a Go-To List. 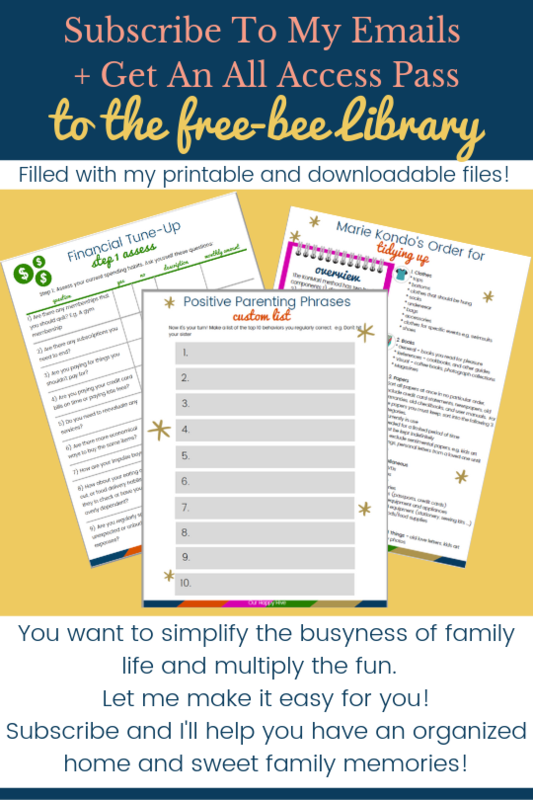 You can print off and reference if you want to swap out one of the pre-planned activities or if you have a lull in your day and need to engage the kids in a different way. The Activity Room is an online monthly program that delivers activities, designed just for toddlers and preschoolers, to you every week. It’s best suited for parents of kids aged 18 months to 5 years old, and includes variations for the specific age of your child. The Activity Room makes it easy for you to be present with your kids as you bring the family together. Supply list for the full month. You should have most of these on hand. But just to be certain, they’ve made it easy for you to check the list and grab the few things you’ll need at the store – so you’re ready for the whole month. Weekly email with each week’s activity plan supply list so you can easily gather up everything you need and be ready for the week! Access to a private Facebook group to connect with other members of The Activity Room to help inspire, motivate and keep on track. 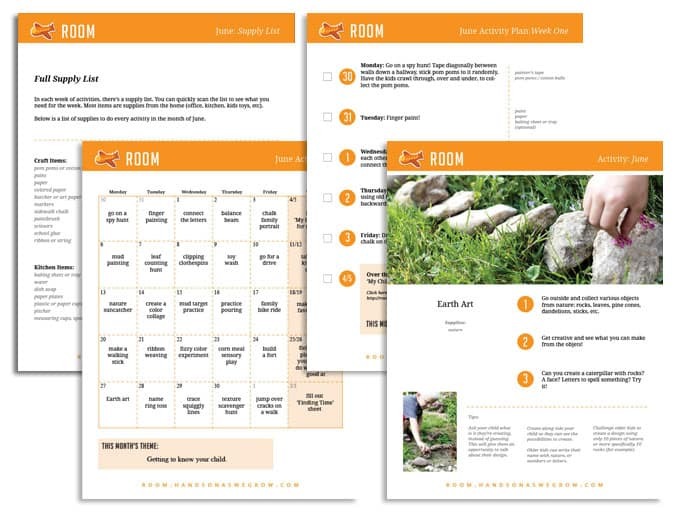 Monthly themes designed to help you become a better parent and bring your family together. 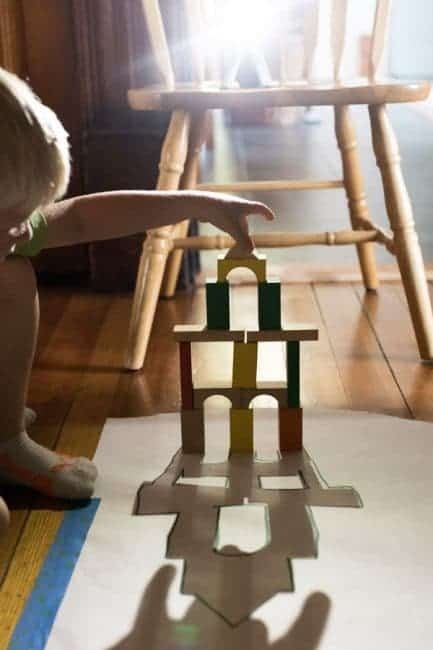 Hands On As We Grow, has offered my readers a Free 7 Day Activity Challenge as well as 60% off of their popular Early Years Bundle of Activity Plans! Woo Hoo!!! Who doesn’t love a discount?!? While you’re there, you should definitely look into The Activity Room, their monthly option that comes straight to you! Sounds awesome . The activity room will sure help keep things organized and so so much easier for any Parent not only SAHMs. What a lovely well thought of product to invest in . I remember growing up my parents wouldn’t let us own video games. My sister and I spent our time outdoors and when we were indoors we did quite a bit of reading. Sounds like a great kit and an awesome discount! These are such great activity ideas, and this activity bundle looks so perfect for moms of little ones! What a great resource for parents. Especially receiving the supply list so that you can be sure to have what you need on hand for the activities. A Facebook group of parents with young children is an invaluable asset as well. There was certainly nothing like this when we raised our daughters, wow, can’t wait for grandkids! This is awesome. I don’t have any kids yet but i teach Sunday School and I’m always looking for ways to keep them engaged.